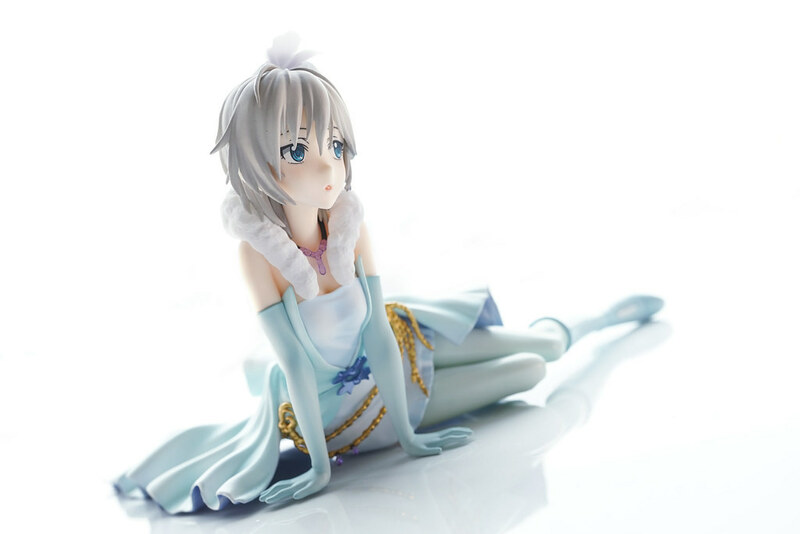 Anya is attractive with her silverly, fairy-like hair and her turquoise eyes. 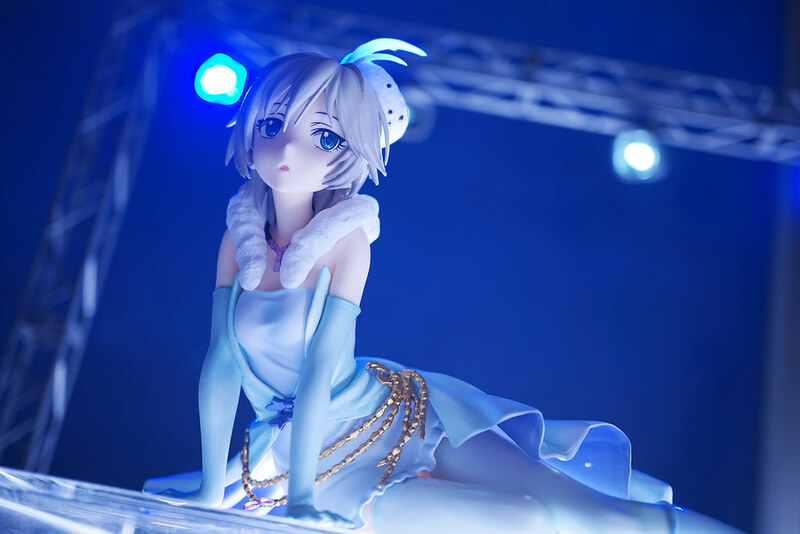 The LOVE LAIKA costume in pale blue fits very well, and I like the calm posture and facial expression of the figure a lot. 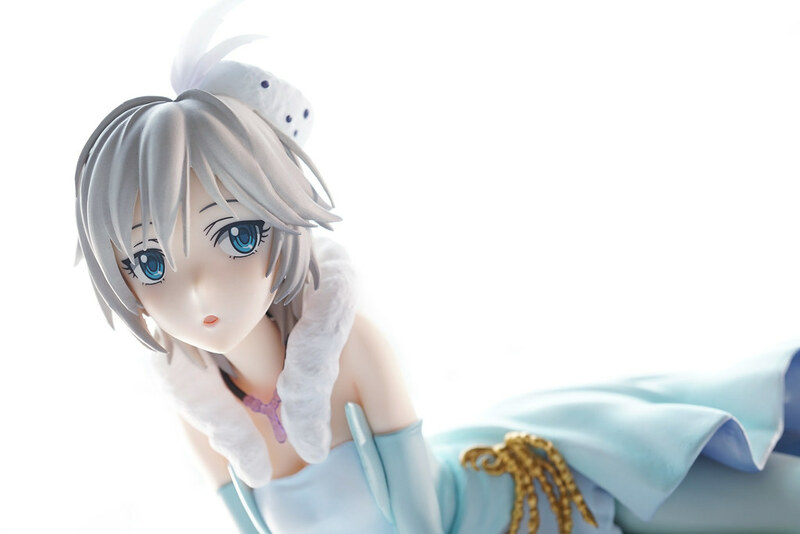 Comparing with the decoration master (color sample), her eyelines looks a little bit hard…or its just my thoughts.. 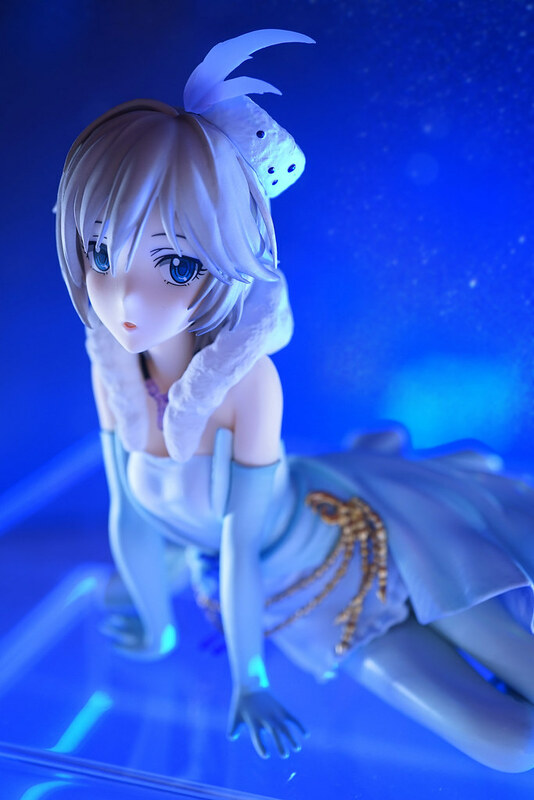 However, some details are missing in the sculpture, especially for those small accessories. 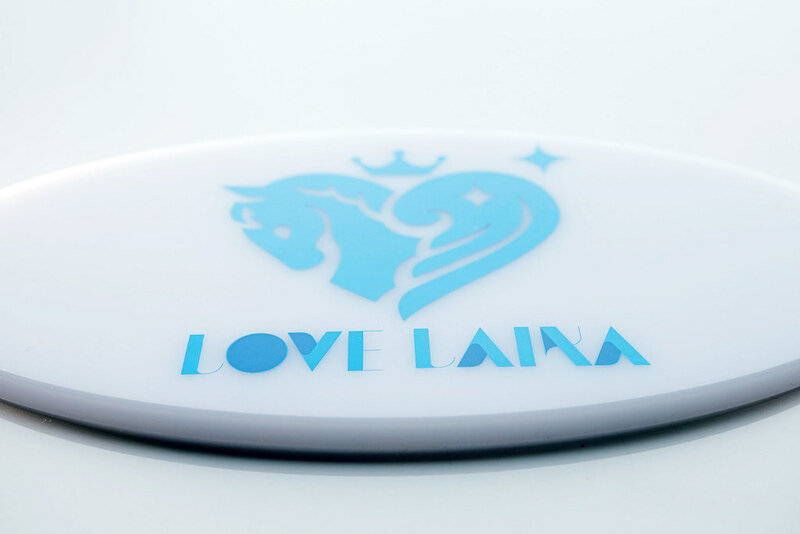 Stand printed with Cinderella Project logo and LOVE LAIKA logo. 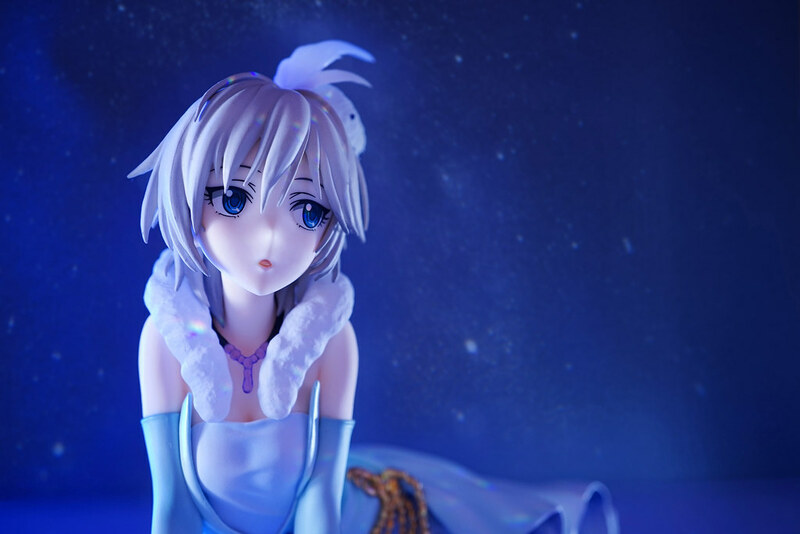 Speaking of Anya, a starry sky is essential. This time I try to project with SEGA’s Homestar… but it is not quite visible..
Thats all for Phat!’s 1/8 Anastasia LOVE LAIKA Ver. Her beautiful face was adapted nicely and the pose is quite adorable. I am now waiting for ALTER’s LOVE LAIKA with Rosenburg Engel(Ranko).